Never give up. Through Facebook, a mother and her son who was abducted about three years ago have reunited. Suleiman Abba Umar was abducted on January 6, 2014, in Kado, Abuja, after the close of school. His family searched for him - in Nasarawa, Kano, Abuja and Kaduna states - to no avail. Sharing his experience, Umar said after his abduction by unidentified persons, “I regained consciousness only to find myself on a pile of corpses by a beach, some with missing heads or limbs. I was terrified”. According to Daily Trust, the teenager said he had to work menial jobs, like bricklaying, to survive. He later started visiting a football viewing centre where he met one Muhammed who took him in. According to him, one of the boys he met at Mohammed’s place advised him to search for his parents on Facebook. He said he found his mother’s Facebook page but there was no response to his friend request which led him to try adding their mutual friends — and one of his cousins accepted. Suleiman, now 15, said when he told his cousin who he was, he thought he was a fraudster but later reluctantly sent him his mom’s number. His words: “I regained consciousness only to find myself on a pile of corpses by a beach, some with missing heads or limbs. I was terrified. “I visited food vendors, pushed disabled people on wheelchairs for a commission of their takings for the day, sometimes as low as N100 daily. “I met one Muhammed, and we became friends, so I soon moved to their shanty. I was always quiet, so almost everyone around me thought I had a speech impairment. “I told them my parents’ names, and they came up with all kinds of ideas, and someone suggested I search for my family on Facebook. “There was no response for a while, so we also tried using mutual friends. One of my cousins accepted, and we got chatting, and when I told him who I was, he laughed and thought I was an internet fraudster out to exploit the family’s pain. Binta, his mother, said she was asleep when his call came in. “To my shock, I heard Suleiman stammering at the other end. As I heard his voice, I knew it was him, and I began to cry, and he joined in,” she said. 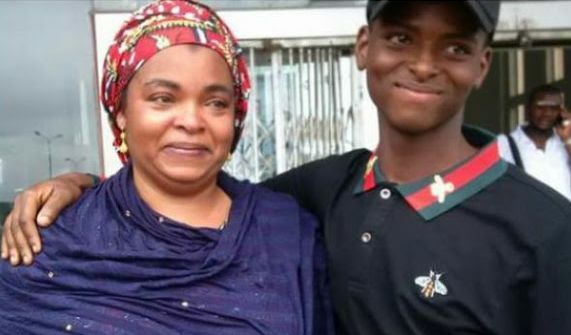 Binta said although it was 1am in the morning, she could not wait to get to Lagos — having lived with the pain of losing him for three years. “It was past 1:00am and I couldn’t wait to get to Lagos. I reached out to agents for flight tickets, to no avail, as virtually all the morning flights had been booked,” she said. “In the morning, I rushed to the airport having finally got a flight for noon. As I was doing this, I reached out to Katsina Liaison Office in Lagos to help, as well.